Welcome to the website of the Methodist Church in Morpeth. Whether you are a member of the congregation, a visitor or newcomer to the town, or are interested in using our facilities, we hope that you find the information you require; if not, please contact us. 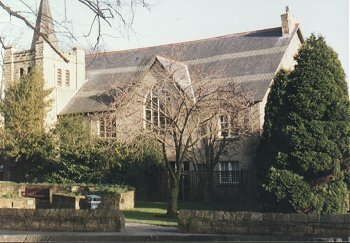 The church is part of the South East Northumberland Ecumenical Area and the Newcastle District of the Methodist Church. We also have close links with the United Reformed Church in Morpeth. The physical church is primarily a place of worship for around 150 families (and many more besides). Originally a primitive Methodist chapel, the interior of the Worship Room has recently been refurbished as part of a wider million-pound development project. In 2005 we celebrated the centenary of the building of the church in Howard Terrace. Details of our regular services, in addition to our latest news and events, are available and updated regularly. You can also peruse a selection of recent sermons. In addition to providing a place of worship, the building is also used throughout the week by numerous groups of all descriptions, both secular and religious. There are a number of well-equipped rooms available for hire and the centre is permanently staffed as part of our Community Outreach. The centre also employs a part-time Community Development Officer. Celebrating the mission of Christ is, of course, why the church exists in the first place. This is achieved not only through worshipping together on a Sunday morning (and during the week) but through a myriad of groups and organisations. We look forward to welcoming you into the church family, especially if you are worshipping with us for the first time. Copyright © Morpeth Methodist Church, MMVI. All Rights Reserved. Website design by Hiltonian Media.